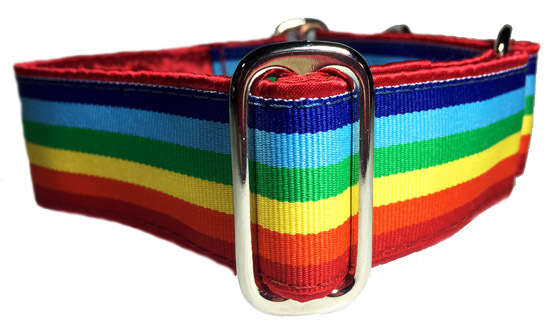 Rainbow Stripe A colorful striped grosgrain ribbon is sewn onto a base that is first completely wrapped in bright red cuddle satin. 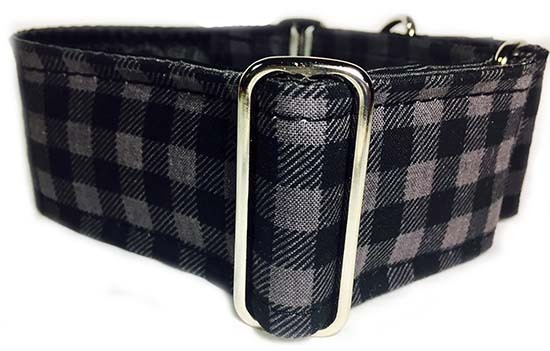 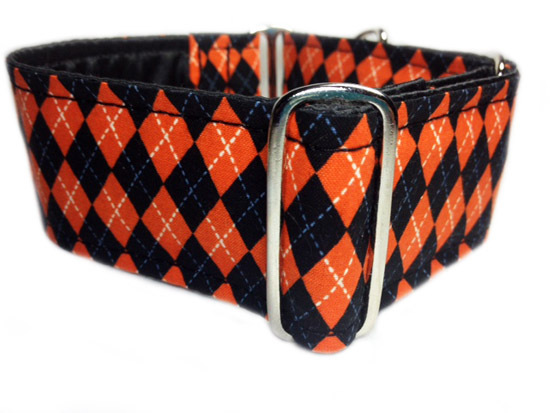 Photo shows a 1.5" wide collar put together with nickel hardware. 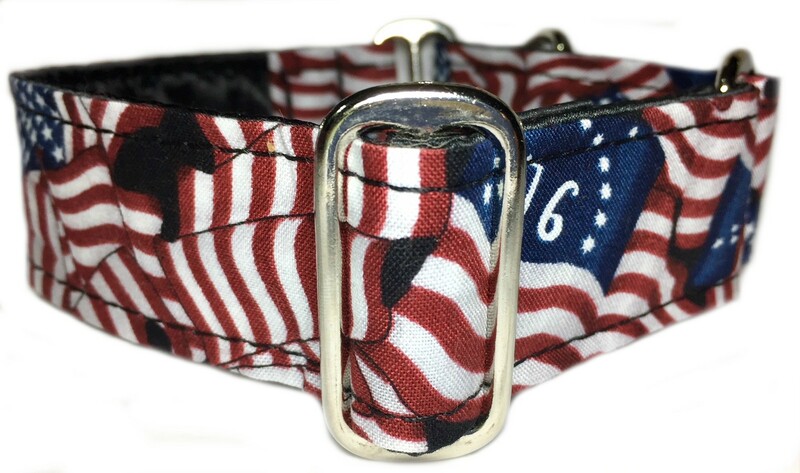 The 2" wide version will have a border of red satin showing on both sides of the ribbon.